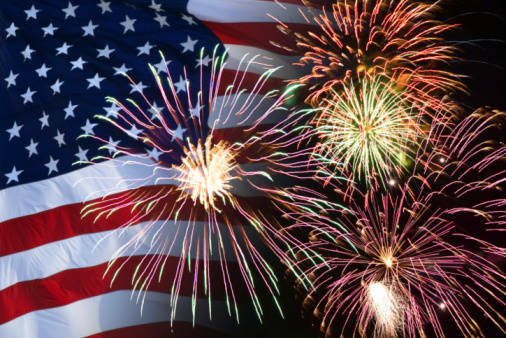 CCDC is closed for Independence Day. Nationwide, communities across the United States have set aside the first full week of May as Teacher Appreciation Week, with the first Tuesday being the National Teacher Appreciation Day. During this special week, children surprise their teachers with well-deserved thanks. Teachers agree that good teaching is their own reward, but Teacher Appreciation Week 2018 is a great time to let teachers know how they have touched your life and the life of your child(ren). Our young artists will be assembling colorful tangrams to create a large quilt on our CCDC bulletin board. By the end of our collaborative art project, every quilter will recognize squares and triangles. Be sure to stop by and enjoy our colorful paper quilt in the entry way. To celebrate healthy eating, we'll join the Week of the Young Child's designation of TASTY TUESDAY! Our preschoolers will assemble TACOS ofcheese, meat, and lettuce on soft taco shells. A nutritious snack will also be made by the children for a special treat. Music and children go together! Through music, children develop math, language, and literacy skills. We will showcase our most popular songs that get your children singing and dancing! NAEYC's Week the Young Child 2018: Celebrating Our Youngest Learners! Love is in the Air! Celebrate Valentine's Day by having the children wear the color of RED and pass out Valentine Cards. CCDC Closed today due to inclement weather. Stay safe and warm. Enjoy the Winter Break with your family and friends. Gobble, Gobble. Pre-K 405 holds their annual Family Giving Thanks lunch. Parents are welcome to enjoy a simple feast with their child and classmates. Children prepare bread and butter along with dessert for families to enjoy. Be sure to sign up for your Parent Teacher Conference in your child's classroom. Teachers are excited to showcase your child's milestones and share your concerns. Parents are encouraged to write down at least two things you want to talk about during your conference. Holiday celebrations share a universal theme of sharing with others. Caring for others and being grateful are important values to model and teach young children. During the next three weeks, CCDC encourages our families to bring a canned food or a box of cereal to share with Niles Township Food Pantry. Happy Thanksgiving. Let's celebrate Halloween by wearing your brightest ORANGE clothes. We'll enjoy special orange snacks and watch the parade of costumes from our friends at Todd Hall. Pack a picnic dinner, bring your chair and blanket, and join us on the playground with family and friends. Parents are invited to bring a dessert to share with family and friends. Please be sure it is store bought to comply with safety regulations. Parents can pre-order sandwiches and pick them up upon arrival. We’ll be planting some annuals in our Friendship Garden, too. Please bring bring a geranium or other favorite plant and we’ll supply the shovels and fun! CCDC is closed in remembrance of Memorial Day. Research confirms that one of the most important things parents can do to help their child build reading and writing skills is to read aloud every day to their children. Often that can mean reading your child's favorite books again and again! To encourage families to read together, be sure to enter our raffle to win a prize at Literacy Night. Simply write down the name of the book you read aloud at home with your child on the raffle ticket, and place it into the raffle box in the hallway. Artsy Thursday: Think, Problem Solve, Create! Children develop creativity, social skills and fine muscles with open-ended art projects where they can make choices, use their imaginations and create with their hands. On Artsy Thursday we will celebrate the joy and learning children experience when engaged in creative art making. We will showcase the use of any materials - from crayons to paint, clay to crafts! NAEYC's Week the Young Child 2017: Celebrating Our Youngest Learners! Early Registration for the 2017 - 2018 School Year will be held February 15-17, 2017. Stop by the CCDC office to update and submit a Registration Form. To register early, a discounted, non-refundable Registration Fee of $50.00 per family is required for children currently in the program. An additional Registration Fee and a Security Deposit is required for each new sibling. After Early Registration, normal fees will apply. Priority registration will be given to Lincolnwood residents. Call CCDC at 847-676-8388 for additional information. CCDC enjoys celebrating Chinese New Year every year! 2017 marks the Year of the Rooster. Our preschool children will visit Children’s China at the Kohl's Children Museum, where displays will portray the present-day activities that Chinese families practice. During our field trip, we'll explore Chinese culture with a variety of hands-on activities. Afterwards, we'llenjoy our lunch at the museum. • Learn to write “Thank you, teacher” in Chinese characters. • Be a researcher at the panda reserve. • Shop for fish, fruits and vegetables in a traditional neighborhood market. • Celebrate the Chinese New Year by participating in a dragon parade led by a traditional dragon headdress at the Great Achievement Hall. • Discover your lunar calendar animal. Each year, CCDC, encourages our families to participate in a center wide service project to collect essentials for "Health Care Packs" that are distributed by our school nurse, Sue Walsh, on her annual trips to Haiti. The children will sort, count, tally and package these everyday necessities with TLC for the children of Haiti, with valentines tucked inside each packet.